Local pupils learned more about Paisley’s unique built heritage at an event encouraging people to share their favourite snaps of the town’s architectural gems. The pupils from Ralston Primary School attended the launch event for the Story Map, held at UWS. The Story Map aims to capture a visual record of historic properties within Paisley Town Centre Conservation Area. Pupils were asked to share their photos, memories and comments on buildings in the town they either have links with or simply admire to have their entry added to the Story Map. The map also shares knowledge about local heritage. The pupils brought along a digital copy of their image along with a comment explaining their reason for choosing their shot. In addition to presenting their photographs the pupils also received a talk with advice on how to photograph buildings from local professional photographer Tommy Graham. 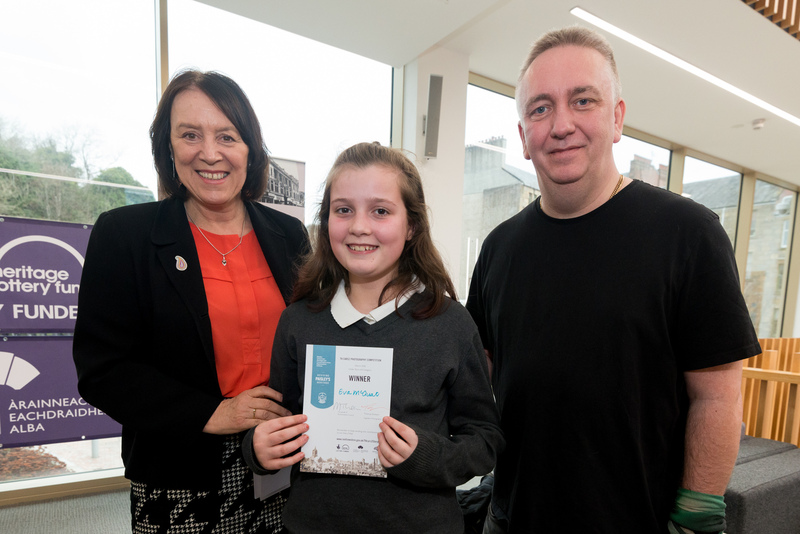 Eight pupils from the school received winner certificates for their contributions to the map, including Eva McOuat whose picture of Paisley Abbey was selected to be included in the Story Map. Renfrewshire Council Leader, Cllr Iain Nicolson, said: “Paisley’s architecture is unique with many iconic buildings that you wouldn’t see anywhere else. It’s a real jewel in the crown of the town. To find out more about the TH.CARS2 project please visit www.renfrewshire.gov.uk/THCars2 or to find out more about the Story Map please visit: www.renfrewshire.gov.uk/THcars2StoryMap.